Bow Arts 181/183 Bow Road, London, E3 2SJ. 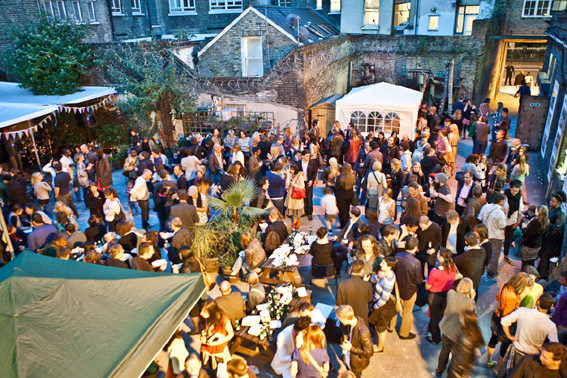 The largest and longest running open studios event in London. Come and see what’s going on at our Bow Road site; with over 130 artists welcoming you into their studios to see their work, it’s an opportunity for members of the public, curators and collectors to see a huge range of original art. The event kicks off on Friday with a whole host of amazing treats. Thai food, two bars, a live jazz quintet and pop up dances coreagraphed by Rosie Whitney-Fish. An exciting, one off opportunity to enjoy the work of our resident artists and soak up the atmosphere of London's Artist Quarter.